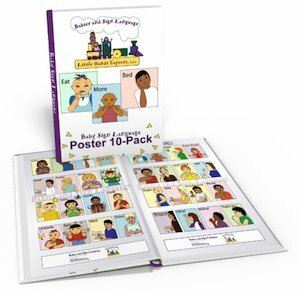 Baby Sign Language  Intellectual Benefits for your infant/toddler. The intellectual benefits of using Baby Sign Language are numerous. Infants begin to learn on the day they are born. Babies are like little sponges soaking up the world around them. Anything that helps them learn quicker and more effectively is beneficial to their development. Baby Sign Language stimulates the intellect in a number of ways. This intellectual stimulation benefits the child way beyond infancy. 2. Baby signing increases vocabulary. 3. Baby signing reinforces the use of verbal language. 4. Baby Sign Language promotes language learning through concept. 5. Baby Signing reinforces a childs communication attempts. 6. Baby Sign Language promotes early literacy. 7. Baby Sign Language increases interests in books. 8. Baby Signing promotes the early use of complex sentences. Baby sign benefits extend to children over 3 years old also. 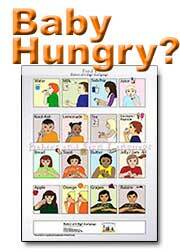 Older children who used Baby Sign Language as infants and toddlers have better verbal and reading skills. 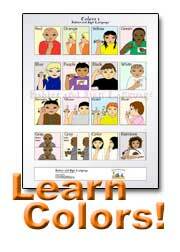 Many parents use books along with teaching sign language. When you point to a picture and then show the sign for the word, both reading and communication skills are improved. Vocabulary is developed earlier and grows faster. The kinesthetic elements of signing reinforce verbal skills. You can actually teach an infant Baby Sign Language, and it will promote the use of speech sooner rather than later. Language is conceptual. You have to be able to picture an item and relate a word to the picture in your mind. When a child learns how language works by using Baby Sign Language, it is only natural the baby will attempt to use the actual word as soon as possible. The fear that baby signing slows the development of speech is ungrounded. In fact, the opposite is true. In addition, Baby Sign Language is empowering and improves learning skills. Baby signing gives infants control over conversation. They can actually initiate a conversation when they want something. But even better, a baby can tell you when something is interesting to him or her enabling you to expand on the topic. For example, a baby might see a truck. Through signing, the infant can indicate he or she likes the truck. From there you can respond by explain something about the truck (color, size, shape, Daddys truck, etc). The baby signed, communicated and then learned more new information! Baby Sign Language also teaches a baby how to form sentences. For example, a baby who desires milk signs more and milk. It is a basic sentence, but forms the groundwork for the use of much more complex sentences at an early age. Early literacy involves being able to distinguish between words and concepts. An infant may originally learn the word cat. But as baby signing progresses and the number of signing words grows, the baby learns to describe the cat in different ways that differentiates it. The infant learns to ask for my kitty, pet the kitty, brown kitty, pretty cat, and so on. This is a major step in language development. There are many intellectual benefits of using Baby Sign Language. An infant learning baby signing results in the early development of literacy and verbal skills. If you want to teach your infant how to communicate 1-2 years earlier, while developing intellectual abilities, Baby Sign Language is a key tool. 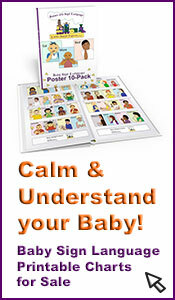 Benefits for Parents Learning Baby Signs, too! When Should We Start Learning Baby Sign Language? How do I Learn the Signs first? 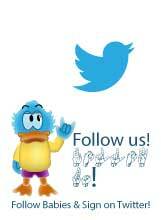 Is Your Little Baby Signer in the U.K.?